What can you expect from your first event? Firstly, a great atmosphere! Its said time and time again how everyone goes home with a smile, you will be no different! Media coverage - we take time to review different teams, discuss whose where in the rankings, offer tips and advice, keep an eye on whats going on with the teams that play the series and provide free photography/videos from different events. New for 2018 - 3 man entry division as well as loaner kit available to teams that need it. 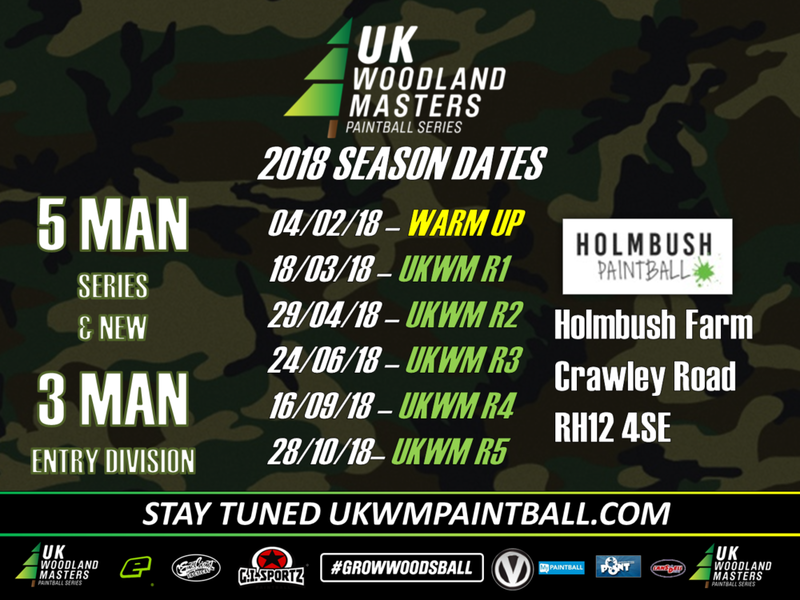 The UK Woodland Masters is based at Holmbush Paintball near Crawley. Near by hotels include Travelodge and Premier Inn.